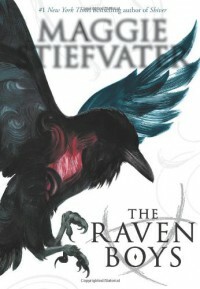 The wolves of mercy falls didn't really make me a fan of Maggie Stiefvater, but this was recommended to me by someone I trust so I took a leap of faith. Although people's main criticism of her work is that she is very wordy, that didn't put me off. In fact I'm drawn to detailing. However what I found lacking before was overwhelmed with the magnificent plot of this book. The characters are more endearing than those of her previous series too. There's wit and good humour to boot but not much 'comedy' or lol moments. The main character Blue, is someone I found myself drawn too due to her obstacles, and how people around her perceived her or treated her. She really is a diamond in the rough, that potential waiting to be found. The best part of the story for me really was the 'raven boy' bunch. I love their dynamic and the ripples Blue brings into that. Although I'm not rushing to finish the series, it is one that I am determined to complete.